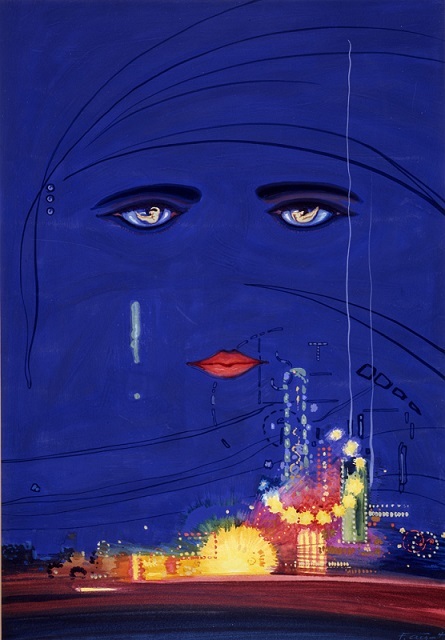 "The Great Gatsby" original cover art by Francis Cugat. On second thought, do these opening words stand alone as poetry? With the fifth filmed rendition of this classic novel about to hit the screens on May 10, 2013 we look at F. Scott Fitzgerald's The Great Gatsby. Published in 1925. Set in the monied Long Island of 1922, The Great Gatsby barely caused a ripple when published in 1925. Though critically lauded, The Great Gatsby moved fewer copies than F. Scott Fitzgerald's two previous efforts; This Side of Paradise (1920) and The Beautiful and the Damned (1922). During World War II — following Fitzgerald's death — the U.S. Army distributed 150,000 copies of The Great Gatsby to troops overseas. The book, now regarded as a "great American novel," has been popular ever since.